We are certified to offer the state of Georgia’s 6-hour Defensive Driving Program. The student might be required to take this course because it was mandated by the court as a result of the student receiving a ticket or other moving violation. However, there are many other reasons, such as license reinstatement, insurance premium reduction, and point reduction, to take the course. The course teaches driving techniques designed to help keep you, and the ones with which you share the road, safe. Our instructors’ goals are to prevent the student from becoming involved in a collision or committing a violation. The cost of the Defensive Driving Program is $95 and is set by Georgia law and must be paid for in cash or by credit or debit card before your class begins. Georgia sanctioned Defensive Driving Programs are given in person by a professional instructor. Georgia law does not sanction online defensive driving courses. As mentioned above, there are several reasons to enroll in our Defensive Driving Program, including the following. 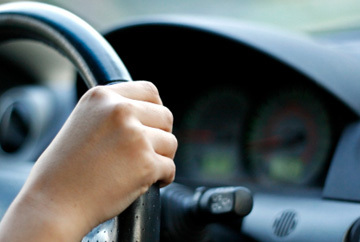 Depending on the seriousness of the citation, many courts in Georgia will require you to attend a Defensive Driving Program. A certificate of completion will be issued to the student once he or she has completed the program. The certificate should be taken to and turned into the court on the student’s next appearance. Under some circumstances, the court may dismiss a student’s ticket after the student has completed a State approved Defensive Driving Program. It is important to check with the judge or your attorney to verify this arrangement. Drivers who have accumulated 15 or more points on their driving record within a two year period may have their license suspended by the court. Completing a state approved Defensive Driving Program is part of the process of restoring driving privileges. Drivers under the age of 18 will have their license suspended for 6 months if they receive citations resulting in 4 or more points being added to their driving record. Completion of the state approved 6 hour Defensive Driving Program is required for the restoration of the student’s driving privileges. Drivers under the age of 21 may have their license suspended for six months if they receive just one ticket that results in 4 or more points being added to their driving record. The student must complete the 6 hour Defensive Driving Program to have his or her driving privileges restored. Drivers with good driving records may be eligible for a 10% discount on their auto insurance premiums from certain insurance carriers for completing the Defensive Driving Program. You should check with your insurance carrier to make sure you are eligible for this discount. If you have received a citation, completion of the Defensive Driving Program can result in a reduced fine and/or no points being added to the driver’s record. All fine reductions are at the court’s discretion. Georgia law allows the removal of up to seven points from an individual’s license upon the completion of a Georgia licensed Defensive Driving Program. An individual can remove points from his or her license by the completion of a Defensive Driving Program once every five years. Step 2: Arrive for class on time. If you're late, we cannot let you in. Georgia state rules specifically prohibit late arrivals from joining class. Arriving late will result in you having to take the class over and, in most cases, you will have to pay for the course again. You should plan to arrive early to avoid problems. Step 3: Complete the 6 hour classroom Defensive Driving program. After you complete the program you will receive a certificate of completion issued by the State of Georgia.